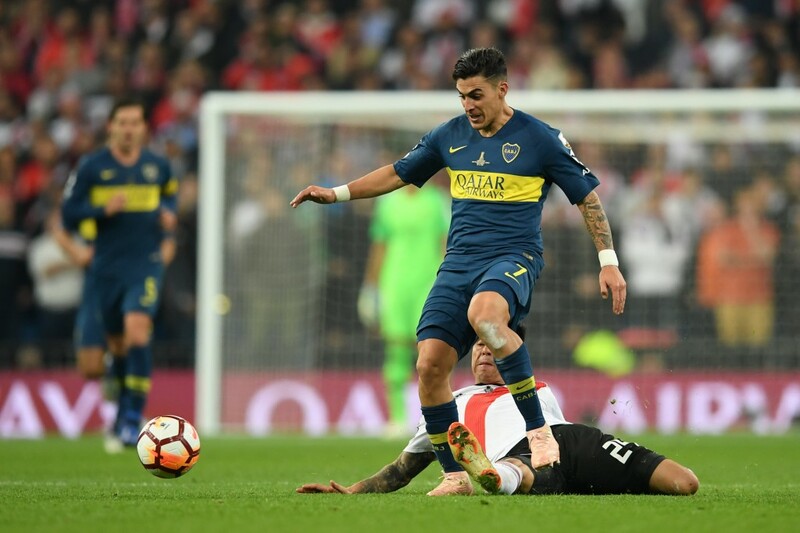 Arsenal are reportedly lining up a £40 million move to sign Argentine international Cristian Pavon from Boca Juniors in the January transfer window. According to a report by The Sun, Arsenal have reignited their interest in Boca Juniors starlet Cristian Pavon. The Gunners are eager to land the Argentine international in the January transfer window, and are weighing up a move worth £40 million to secure his services. Pavon’s star has been on the rise ever since he was thrown into the spotlight with the Argentine National Side in 2017. Over the last year or so, the player has quietly built up a reputation of being a mercurial winger, who can use his pace to deadly effect. While he did not get much of a chance at the 2018 FIFA World Cup, the 22-year-old has been a hit for Boca Juniors, even turning out for them in the Copa Libertadores final recently. And, his exploits have piqued the interest of some of the biggest clubs in the world, with Arsenal being at the forefront of the group. The Gunners have been on a roll under Unai Emery, who has seen the squad take to his ways quickly. But, as some of the games have highlighted, Arsenal are desperately lacking a winger who can provide a pacy outlet on the flanks, with the manager having to resort to playing other players as makeshift wingers. Danny Welbeck’s season ending injury has also brought about the need to invest in attack, heading into the January transfer window, and it is widely believed that the Arsenal decision makers, Emery, Sven Mislintat and Raul Sanllehi are ready to divert the funds to land a winger. Pavon is a player who could take to Emery’s ways quite quickly and help add a new dimension to their attacking output. To that end, Arsenal seem to have turned their attention back to the Argentine international and have opened talks with Boca Juniors over a possible move in January. The Argentinean giants though, will not let their prized asset leave easily, and are set to demand a premium for him. Boca Juniors have slapped a £40 million price tag on Pavon, a figure which Arsenal seem to be ready to impart, as per the report. The summer transfer window saw Arsenal adopting a frugal approach in the transfer market, but if the report turns out to be true, it would be a healthy change in outlook. With only a couple of weeks left for the transfer window to reopen, it is not long before we see if the Gunners are indeed seriously pursuing a move for Pavon, who might be open to making his way to London.